Vivid Turf & Ornamentals was founded in 1998 by owner Scott Benedict. 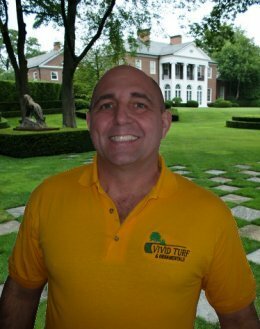 His experience in the green industry as a landscape professional and custom applicator dates back to 1981. He became state certified in Turf & Ornamental Tree and Shrub Application with the Department of Agriculture in 1990, and in 1995, an Ohio Certified Nursery Technician in the Landscape category through the Ohio Nursery & Landscape Association. The company's mission of providing superior quality landscape services & outstanding customer service is still the main focus after 15 successful years in business. We remain committed to environmental stewardship, continuing education, safety and process improvements, to deliver exceptional value and maintain the beauty and design integrity of the landscaping at your home or business.